Probably like most couples, Mr. Quilting Bug and I enjoy watching some TV at night. And with the invention of the DVR/Tivo, it's so much more enjoyable! We've become so used to the convenience that it's hard to remember back when we had to sit through commercials or plan our evening around the start time of a show. Our current favorites right now are Parks and Recreation, Big Bang Theory, Person of Interest and Once Upon a Time. We're really enjoying each of these shows. I'll also admit that we watch Survivor almost every season too. How awesome is it that over the last 3 or 4 seasons God is mentioned more and more often! I think the contestants prayed to Jesus in every episode this past season. 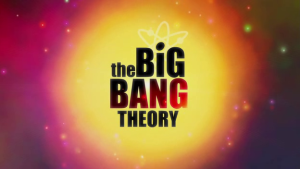 We've ordered seasons 3 and 4 of the Big Bang Theory and they should come in tomorrow. I've already seen them, but Mr. Quilting Bug hasn't. I expect we'll do a marathon session of the series tomorrow night and I hope to make some good progress on the ships then. I'd love to finish both of these blocks by the end of the year, but will have to spend a lot of time appliqueing for that to happen. Each of these 16" blocks usually takes me about a month to complete. I'm sure everyone out there is busy with last minute preparations for Christmas, but I hope you're also finding time to laugh and relax and enjoy those people around you! Good luck on those blocks. I can see the TV from the computer and the sewing machine. My hubby is across the room at his PC so we can visit.